The answer to this question is: White cannot win, regardless of whose turn to move. The bad position of his rook coupled with Black's active counterpart will guarantee that Black will save half a point with correct play. And yes, this is one of the many examples illustrating the power of active rooks over passive ones. Black's rook attacks the h6 pawn, thus tying White's rook down to its defense. 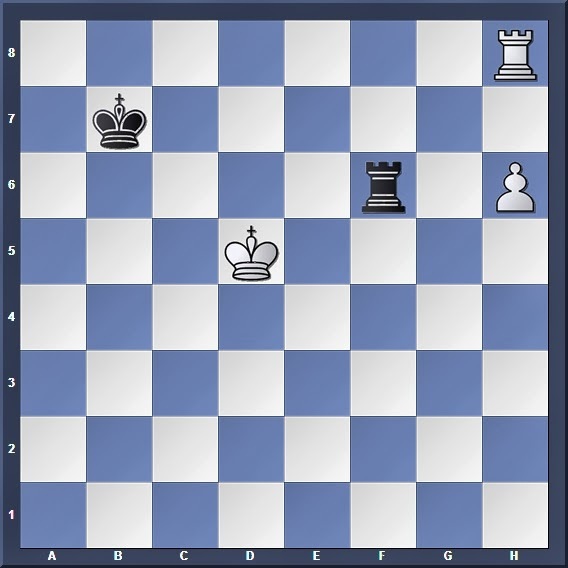 White's king has no shelter from Black's barrage of rook checks. If the pawn were on g6 instead of h6, then it would be a different story altogether because White can hide his king on h6. If White tries to push the h-pawn, then Black's rook will just leap to the h-file and continue to tie down White's rook. 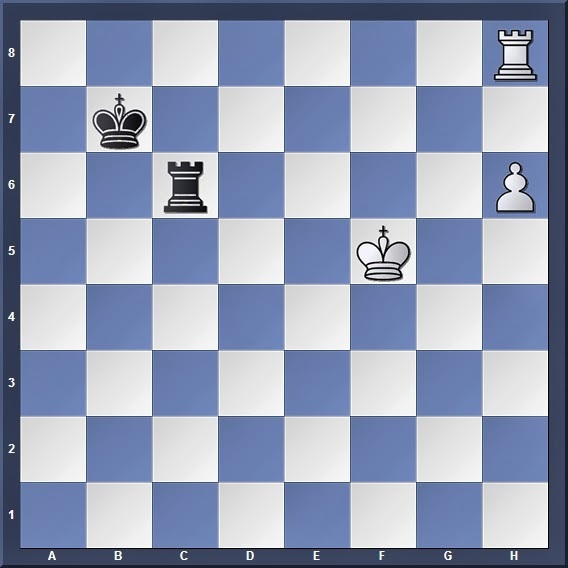 Then White cannot make any progress as long as Black keeps his rook on the h-file. Threatening to release the rook from its guard duty with 2. Rb8. Other variations such as 1. Rh7+ Kb6 give White no progress, while 1. h7 Rh6 2. Kg5 Rh1 leads to the draw which we discussed in Point 3. Notice that when Black is not checking White's king, he makes sure that his rook stays on the 6th rank, thus tying down White's rook to defending the h6 pawn. 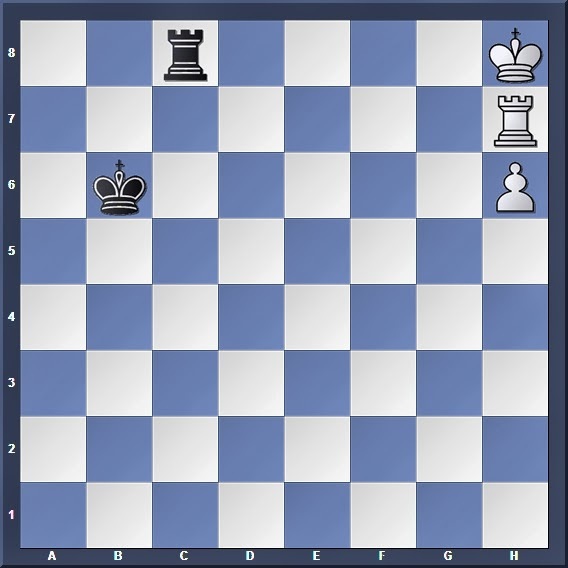 If he feels that shuffling the rook is too boring, he could throw in some variety with 4... Ka7 which would not make much of a difference. However, Black must be careful not to throw away the game with 4... Rc6?? 5. Rb8+! Kxb8 6. Kxc6 with immediate defeat. Since moving the king or pawn makes no progress, how about checking the king? Still no chance! White's rook is still forced to look after the h6 pawn. 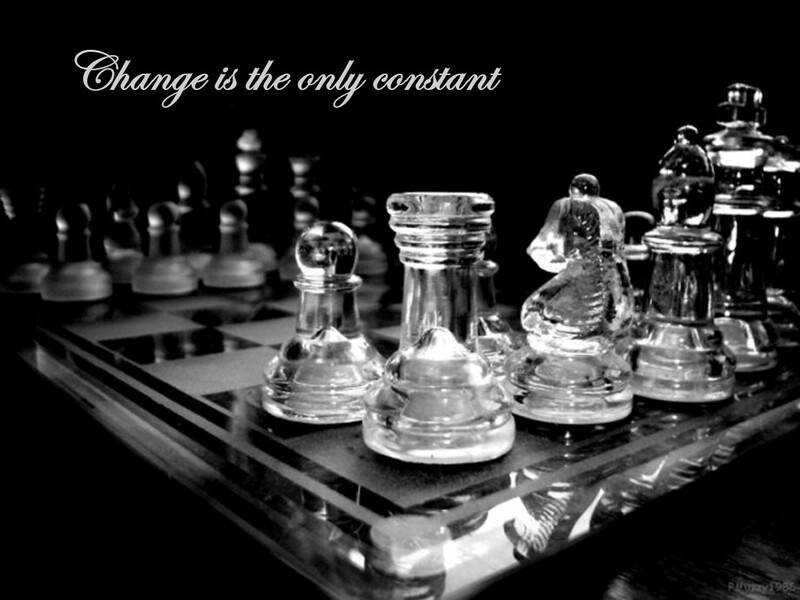 White's king cannot escape from the volley of checks, and the pawn can never hope to advance. The Vancura Position will prove to be a useful building block as we move up the ladder in our investigation of rook endgames.